This letter was written by Benjamin French Hard (1844-1891), a member of Battery G, 1st Ohio Light Artillery (OVLA). 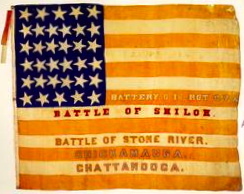 Battery G, also known as “Bartlett’s Battery” was organized in 1861 and took part in the battles of Stones River, Perryville, Chickamauga and Mission Ridge. They were also engaged in many of the battles in Sherman’s Atlanta campaign. 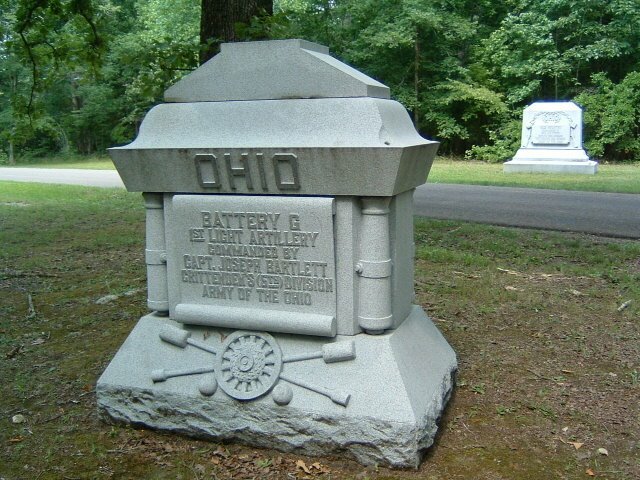 Members of Battery G were primarily recruited from Geauga and Lake Counties in Ohio. Benjamin was the son of Alphonso Eugene Hard (1814-1865) and Elizabeth Dusenbury (1811-1870) of Norwalk, Huron County, Ohio. His siblings were Horace B. Hard (1838-1900), Frederick Thomas Hard (1841-1871), Alphonso Hard (1842-1846), Eunice Hard (1846-1860), Joseph Hard (1848-1860), Mary Hard (1850-18xx) and Emma Hard (1852-18xx). This letter was written to Frederick, a medical student at the time, who enlisted in the 7th Ohio Cavalry in December 1863. In 1870, Benjamin married Theresa Walling Myers (1846-1905) in Brooklyn, New York, where he found employment as a cook. His name is listed in several city directories living in Brooklyn and working as a cook from 1880 until he bought or opened BF Hard & Co. listed at 20 or 70 Broadway in 1887. Note: There are two letters written by Benjamin Hard to Frederick housed in the William Stanley Hoole Special Collections Library (University of Alabama) that are incorrectly catalogued as the Benjamin Hurd Letters. These are dated: February 10, 1863, and May 16, 1863. I received your letter of the 28th of June and was glad to hear from you. I suppose you have heard of our move before this time. We have been a chasing Bragg ever since we left Murfreesboro and it has been a fighting chase. We have hung to his rear — not Bragg’s rear (the rear of his army). We are encamped at this place. It is about 25 miles beyond Tullahoma. When we left Murfreesboro we all thought that we were agoing to have a big fight at Tullahoma but old Bragg ran as usual [and] left siege guns and lots of camp equipage. We are awaiting for the supply train to come up and then we will start again. Our cavalry and mounted infantry are on the go now. This is the fun of a soldiering. We have lived off of the country for about a week. Chickens, pigs, and everything else have to suffer. I am sorry that Mary poisoned herself. She did once before. I received a letter from Father when I was at Elk River. Fred, you ought to have been with us yesterday and heard our Division fire a salute. We have got 18 guns and they keep a firing for about 2 hours for the Army of the Potomac and Vicksburg. You will hear stirring times from the Army of the Cumberland in a short time when we get Bragg in Chattanooga. It has rained down here for the last 2 weeks and muddy as the devil. I think that if we gain many more victories that peace will soon follow. I hope so at least. Give my best respects to Lieut. [Robert D.] Whittlesey ¹ and tell him that we have not got but 2 commissioned officers in the battery — Capt. [Joseph Bartlett] and [1st Lieut. George W.] Bills and he was sick last night and did not eat no supper but he made it up at breakfast this morning. 3 quarts of blackberries. The 13 did lose a good many but that is nothing in our time. You cannot go a half mile but what you see some feller’s hand asticking above ground grabbing for his land warrant. I cannot think of anymore to write at present. 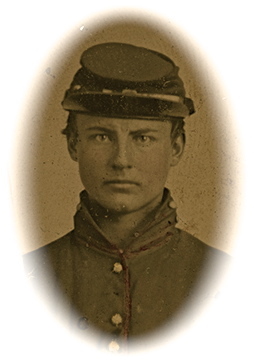 ¹ On 5 July 1862, Captain Joseph Bartlett (1837-1916) ordered 2nd Lt. Robert D. Whittlesey to proceed to Toledo to seek new recruits for Battery G in Lucas County, Fulton County, Williams County, Defiance County, and Henry County, Ohio.